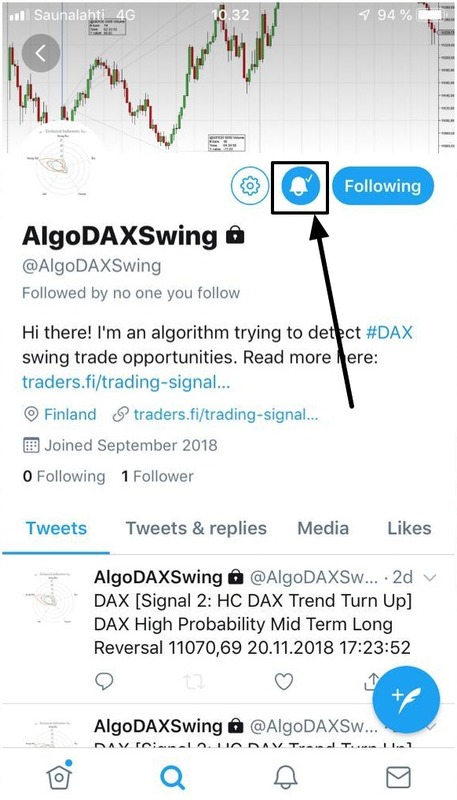 We now offer access to our own DAX trading signals ! These signals have been developed over the years and we continue to evolve them – many companies offer FX signals, very few do it for DAX (in fact we have not found any good ones). See below for descriptions on what they are, how we use them and what their historical performance is. Signals are available as Twitter tweets or good old emails. First month is always free if you haven’t these out before and then you need to decide if you want to continue to receive them. If not, no hard feelings but would be nice to hear why not and if you do, price is 75eur/month (which is nothing, in all honesty – but this is not our main business either). Cutoff for chargeable period is always end of a calendar month – and always in your favor (e.g if you pay for your month on the 15th day, you will have access at minimum to end of the following month – i.e. you get 6 weeks). Signals are available as Twitter tweets (this is how we get them – and we let you in to our private Twitter account). 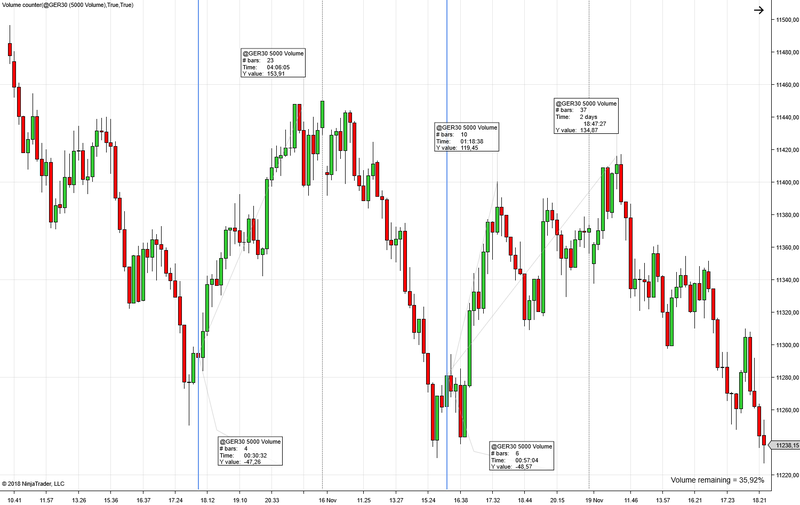 We have two sets of signals available: Intraday (faster, more frequent signals 1 & 3 below) and Swing signals for longer trades (signals 2 & 4 below, slower, typically signals 1-2 a day). Please indicate which set you would like to receive, or both (both are included in the price, but not everyone wants to get plenty of signals during the day). Give us a call or come and visit! 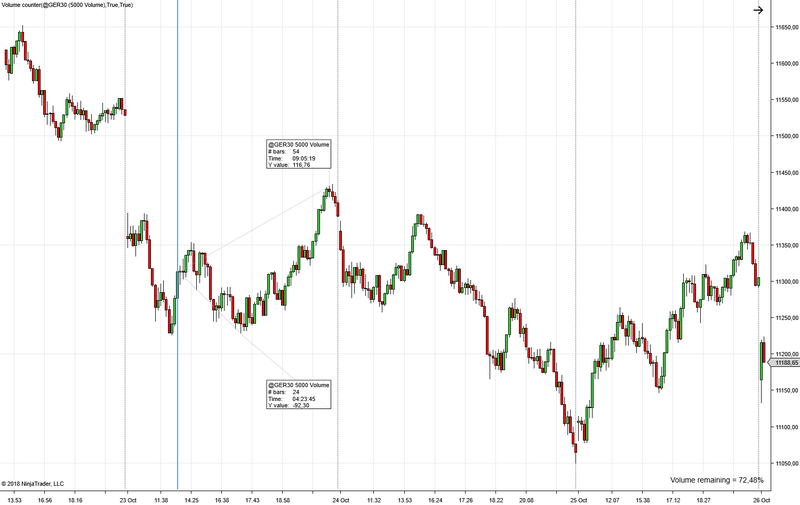 This signal indicates long entry points for DAX index from short time frame indicators. It looks for situations where there is substantial negative price difference to longer averages (i.e. LONG only signals) and conditions are such that the price action reverses and starts to close the gap towards longer term averages. This signal works well when DAX is in a range or trending up. It does not perform equally well in strong downtrends when DAX is below its 20 day moving average (DMA20). In strong down trends, the performance is positive but draw down risk is bigger due to higher volatility. We highly advice to be careful with the long scalps when DAX is below DMA20. It does however perform well towards the end of the strong downturn and often is able to point out lowest point of the downtrend. So it is advisable to not react to first 2 signals in a strong downtrend – safer approach is to disregard this signal when DAX is below MA20 line on daily charts. One needs to pay attention to the situation in the markets before entering LONG position. 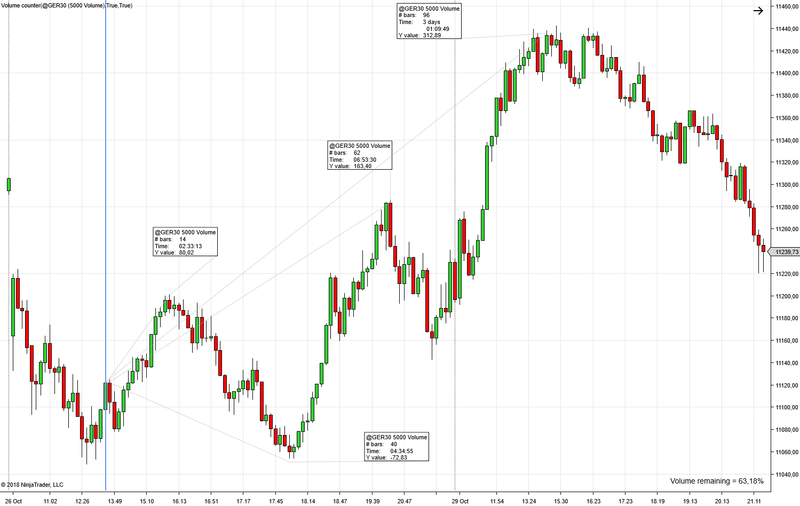 Also it is not advisable to act on signals early in the morning, typically 8-8.30 CET as volume is low. This strategy can be used for long scalps of 15-30 points and/or to accumulate larger core position if you are a swing trader. TP & SL Level: needs to be managed manually, price and volume action into account. 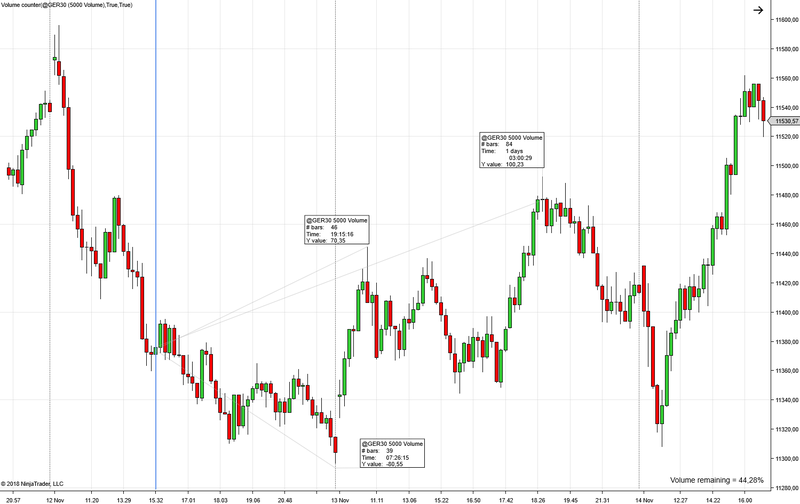 Alternatively, use DAX Intraday Pullback Warning as exit. Description: This signal indicates long entry points for DAX index. Like HC DAX Fast Delta Correction, it looks for situations where there is substantial negative price difference to longer averages (i.e. LONG only signals) and conditions are such that the price action reverses and starts to close the gap towards longer term averages – difference here is that this signal looks for larger trend turns after a major drop in DAX and happens less frequently. Signal works best when DAX is in a range or trending up and it. It does performs better in downtrends as HC DAX Fast Delta Correction as a more significant drop in DAX is needed with a larger turn up but also here in strong downtrends first 1-2 signals may fail. It does perform well towards the end of the strong downturn and often is able to point out lowest point of the downtrend. Here there is usually no rush as movements are larger and take longer time and one can get equally good entry point 30min-1hr from the signal. E.g. in a downtrend, it is advisable to wait for higher low after signal to form before going long. 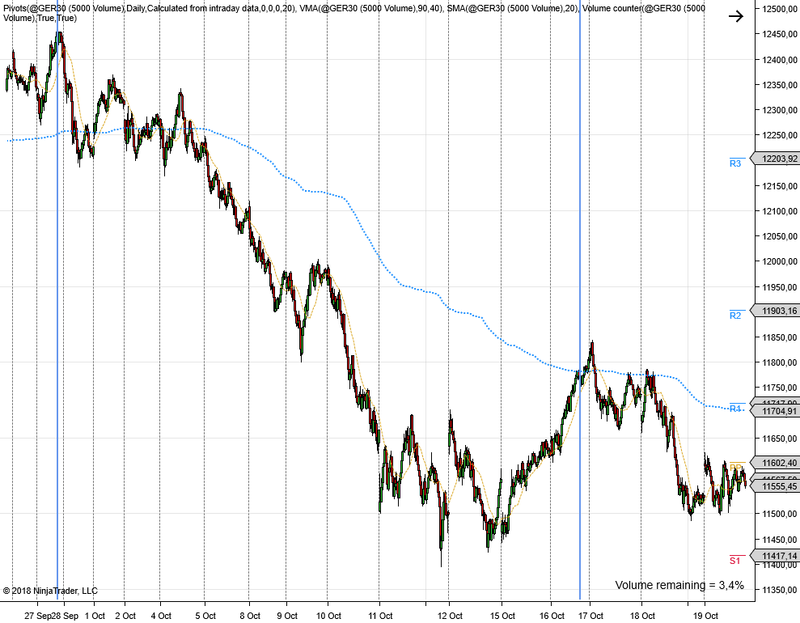 In short timeframes, significant delta to different EMAs most often means price will retract back to EMA. So when delta to EMA averages exceed set limits, this signal will trigger. When momentum is strong, delta to EMA can grow even to ca 60 points so also here a good feel on market dynamics is important. One good approach is to take a position when signal triggers and increase it if delta continues to grow. Signal frequency: Typically at least once a day when daily volatility above average. TP & SL Level: Take Profit when price touches EMA60 on 1-min chart. 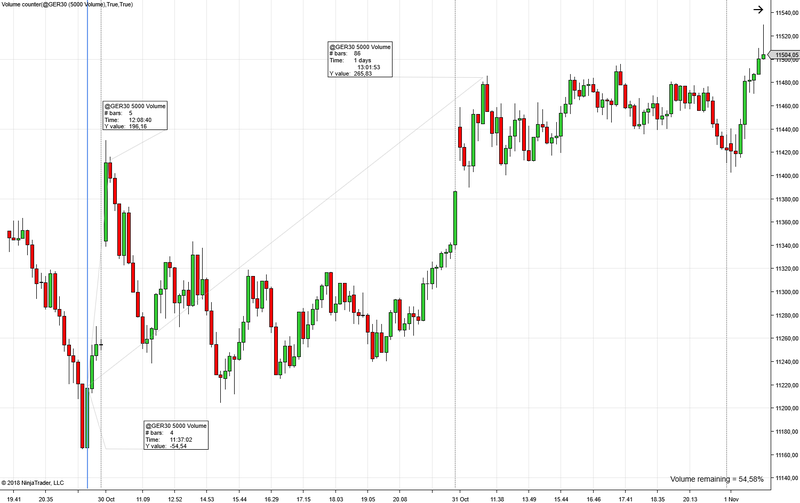 This signal will trigger when a strong upswing in DAX occurs and the bullish momentum starts to decline. Best way to use it is as a signal to exit long positions – we do not recommend using this signal as entry point for short positions unless you have a good feel of ongoing market dynamics as the opportunity for any short position is highly dependent on the longer term market direction and one should consider going short only if there is major market trend down (e.g. 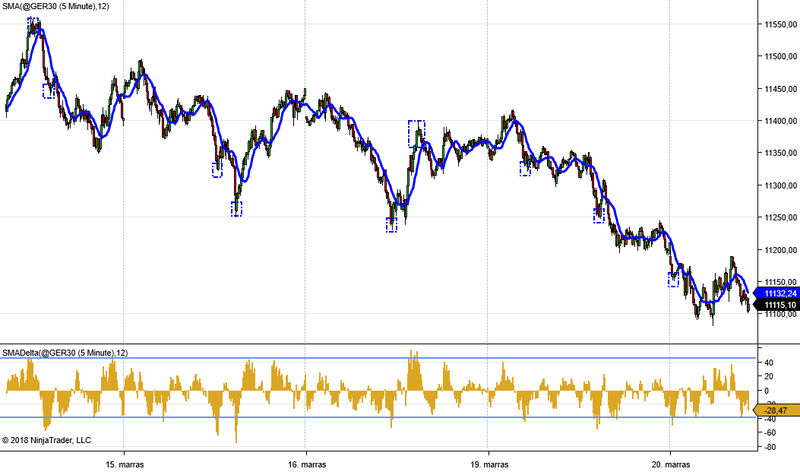 from DAX 4hr chart). Cancelling our subscription cancels all future scheduled payments and you will get no further alerts as Tweets or e-mail. Our subscription can be cancelled up until the day before the next scheduled monthly payment in order for you not to be charged. Select our alerts and click Cancel. Will your alerting service make me a millionaire? The short answer, it will probably not do so – you need to have your trading skills in good shape to benefit from these signals. However, if you’re already a successful trader, we strongly believe it will make you even more profitable. If you’re new to trading, these alerts should give you a very good edge and insight into how markets work – use them to paper trade first and build your track ! It will also notify you of opportunities when you’re not in front of your screen, never miss good price action again! Will this service automatically manage my trade? No – it will not! You have to manage all your positions yourself. How are the real time alerts pushed? Our algorithm push the signals in real time to respective Twitter account. The best way to get immediate notification of the signal, is to enable a popup on your phone by ticking the “alert button” shown in below screenshot. HC Capital Traders cannot guarantee that you will earn any profits using the signals. The winnings/earnings potential are entirely depended on your experience level and actions. The signals should neither be referred to as a guaranteed success nor as financial advice. There is no guarantee that you can replicate past success that are shown on this website. There is no guarantee that you will be able to generate profits or earnings. All the information displayed on our website, including the signals, is based on past market behavior and our opinion. We should not be referred as an investing or finance advisors. Trading involves high risk to your capital and you could lose more than your initial deposit.